His hood was pulled tight around his ears, blocking the winter cold as he burst through the door. It was way past his bedtime, but his eyes danced and the biggest smile ever flashed across his face. He kicked off his shoes and bounced away into the living room. I turned to my friend, gave him a brief hug, and say “Thank you.” “It’s good to be a friend,” he said as he turned to leave. 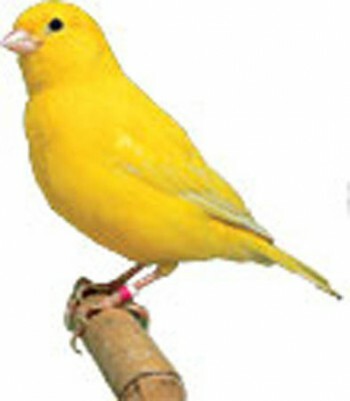 other a couple times in the past year, I jumped on Mr. G’s offer to show Super Tall Guy his canaries. About 4 ½ hours later, Super Tall returned, beaming from ear to ear, bouncing around the house with stories about holding birds, cleaning cages, writing down the “secret” number of the birds, and naming them (Sunny 1, Sunny 2, The Dark). He showed me how you can hold them without squishing them. That if you blow on them to “see their bellies” you can tell if it’s a male or a female. He talked until sleep took over. It’s going to take a village for me to raise these boys. It takes the daily help of my mother who despite being in her 70s, carts around a 9-month-old foster baby wearing his “my-head-is-misshapened” helmet. It takes a father to unclog the drains, put up plastic over drafty windows and change the chandelier light bulbs over and over as they are knocked out by arching footballs. It takes a sister to help juggle the schedule and take the oldest one skiing while I stay within a warm house. It takes a school to sit down and meet and develop a plan for the new kid in the class and commit to doing what needs to happen to help him succeed. It takes a Big Brother, Big Sister program to bring alongside a mentor and a friend for a kid without a father. And it takes a whole bunch of friends for me – texting friends, dining friends, babysitting friends, comforting friends – to be able to survive. You see, that’s what all kids need – someone to love on them. And it can’t be me because I’m too busy racking up awards of “Meanest Mom Ever.” It has to be someone outside the family. Someone who really shouldn’t care that I chose to adopt three beautiful challenging boys. Someone who doesn’t have to give up their Saturday night to show a 90-pound clumsy 8-year-old how you hold on to a delicate bird. Someone who will love on a kid because that’s what the kid needs and they are willing to give. If you have kids – find those someone’s. And if you can – be that someone to a kid. You have no idea how profound and powerful you can be when you love on a kid. This entry was posted in Single parent and tagged parenting advice, takes a village by middleofthemadness. Bookmark the permalink.